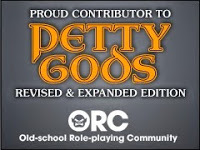 I was checking out DriveThruRPG for something and happened to go into my wishlist. The reason is lost to me, but the important thing is that there is a special GM's day promotion going on until the Ides of March. Everything that is part of the promotion is supposed to be 1/3rd off, but if you hunt around a bit, or in my case just scanned through my extensive wishlist, you might find some things at an even deeper discount. There were a couple of items, mostly digital maps and some tokens that I found at 2/3 off! 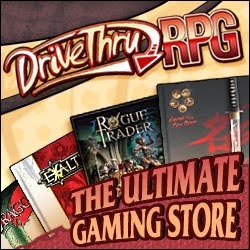 Just a small plug for DriveThruRPG and judicious use of their wishlist feature. It really helps to squirrel things away there to look at later. From a publisher side of things I know your could (I assume they still can) reach out to folks who had your products wish-listed and send them a discount code to help convert them from shoppers to buyers.